VIPAccessEXCLUSIVE: Aidan Miner Interview With Alexisjoyvipaccess At The Nickelodeon “Sizzling Summer Camp Special” Screening Event! He’s an incredibly talented actor, a skillful musician, and he has a super charming and outstanding personality – those are just some of the many things that we love about the phenomenal Aidan Miner. We know the spectacular Aidan Miner for portraying the role of Lawrence in the highly acclaimed, fan-favorite Nickelodeon show, School of Rock. The awesome Aidan Miner brings his character to life in such an extraordinary way and we always look forward to seeing what kind of exceptional, musical numbers that the gifted cast will bring out in each episode. Aidan Miner is truly magnificent in all ways and he never fails to amaze us with his brilliant and awe-inspiring talent. We love how Aidan Miner always has a big smile on his face and he is such a positive, down-to-earth, and humble individual. Aidan Miner is absolutely stupendous and we know that he will continue to mesmerize us all with his one of a kind, acting gift and his excellent projects. 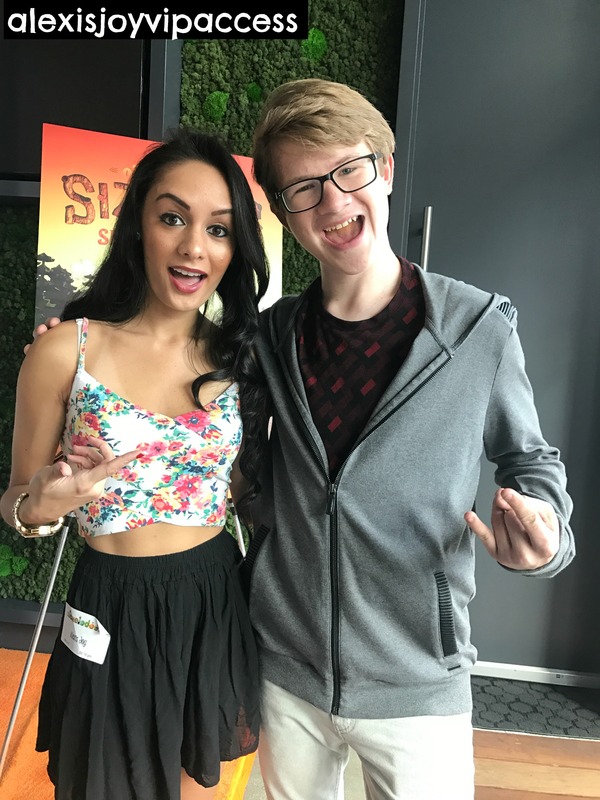 I, Alexisjoyvipaccess had a fantastic time covering and attending the Nickelodeon Sizzling Summer Camp Special screening event and had a terrific time catching up with and interviewing the sensational Aidan Miner again at the event. Aidan Miner dished exclusively to Alexisjoyvipaccess all about what it was like for him working on the fun-filled Sizzling Summer Camp Special, what his summer camp must-haves are, and so much more only in our VIPAccessEXCLUSIVE updated interview. Aidan Miner even revealed what his favorite summer memory is – hear what he had to say in our VIPAccessEXCLUSIVE updated interview below. Thanks for another great interview, Aidan – always a blast chatting with you! Check out my VIPAccessEXCLUSIVE updated interview with the remarkable Aidan Miner at the Nickelodeon Sizzling Summer Camp Special screening event below! Be sure to tune in to the Nickelodeon Sizzling Summer Camp Special airing on June 4th at 7:00 PM. Previous VIPAccessEXCLUSIVE: Jacob Hopkins, Merit Leighton, Marlowe Peyton, And Benjamin Stockham Showed Their Support At The Inspiring Jonathan Foundation Spring Fundraiser! Next VIPAccessEXCLUSIVE: Casey Simpson Interview With Alexisjoyvipaccess At The Nickelodeon “Sizzling Summer Camp Special” Screening Event!